If you look closely, you will see the tadpoles and the bullfrog that lives here. 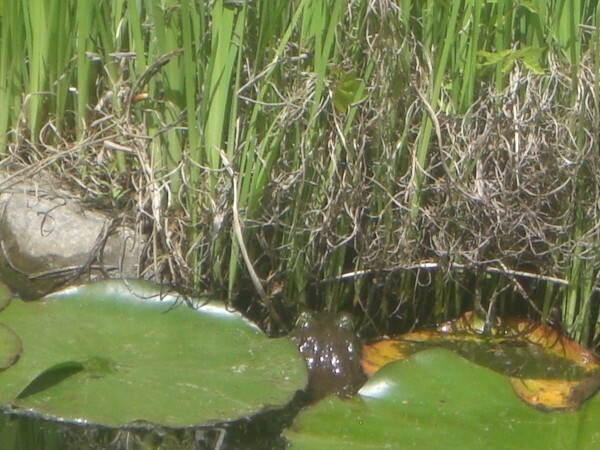 He was trying to hide between the lily pads. This is my pond. My Hubby built it because we live on a hill and I was retiring. He dug it all out by hand. It's very relaxing. 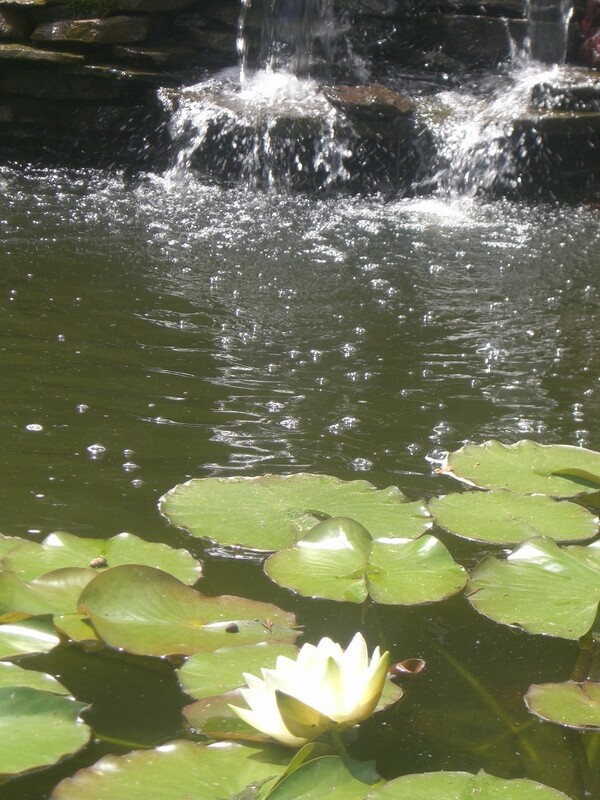 Even inside our bedroom, you can hear the waterfall and the bullfrog while you are falling asleep. Lovely photos - I can hear the water splashing! Very thoughtful husband - someone to cherish. Thanks for sharing this beautiful sight. Very nice! 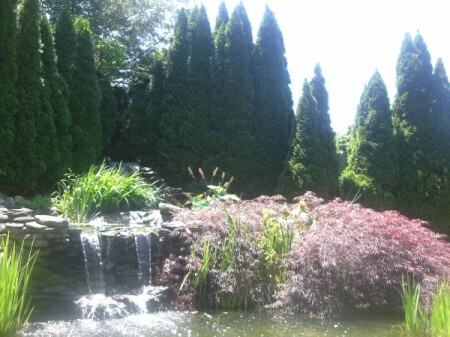 I miss having a water feature in the yard. I think a garden is not complete without a water feature, even if is just a bird bath. Where is water there's life and the presence of water gives a relaxing atmosphere, particularly if it is moving. Yours is magnificent.